Good friends of ours, Greg and Mary Jane Grooms recently introduced us to a poem, a prayer I have been pondering. The Grooms were L’Abri Workers back in the 1980s when we met them, and lived a few blocks from us. 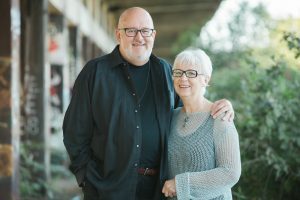 For the past 25 years they have lived and worked at Hill House, a Christian study center at the University of Texas in Austin. The prayer they referenced is by Carmen Imes, Professor of Old Testament at Prairie College in Alberta, Canada. It is titled “A Scholar’s Prayer,” but includes lines all of us need to pray. If you are a scholar, you need to pray it. If you are a dropout who hated school so passionately you couldn’t wait to leave it behind, these lines are for you. They are for every Christian who yearns before their Lord to be discerning instead of reactionary in our uncertain times. that is before me today. Day by day and minute by minute we are inundated with news and opinion, spin and fact. There is simply too much to absorb, to say nothing about carefully processing much of it. If we are not to be snared by half-truths and lies we will need to be careful. It is a good thing to ignore much of the cacophony around us. I don’t really need to know much of what is out there to be faithful. If I know less and know it with greater depth I am more deeply into the truth. Media seeks to capture our attention with a host of manipulative tools. Lies repeated often enough begin to sound true. Forceful presentations sweep us into conclusions without careful reflection on how we got there. The speed by which things come at us causes us to lower our guard. And being a successful television or talk show personality is not synonymous with being wise. more than I love what I have thought or said or written. or to surrender a cherished opinion found wanting. The pressure to go with the flow is like a rip tide always pulling us under the waves. Asking probing questions and withholding judgment is unpopular, and fools see it as weakness when it actually is an essential part of wisdom. Christians adopt ideologies—conservative or progressive—not seeing them as the idolatries they are, and decorate them with a thin veneer of proof texts to make them acceptable. It is hard to say, “I don’t know.” It is harder to say, “I may be wrong.” And it is hardest of all to say, “I was wrong.” But all three should be said when needed. Conformity is valued more highly than to be a seeker of truth, and humility is interpreted as an unwillingness to accept the obvious. This is the way of fools. Asking probing questions is a skill that is not innate in most of us and so must learned. As we seek to learn and practice it expect pushback. It always amuses —and annoys— me when a question I honestly pose is interpreted as revealing my position on something. If I want to tell you my position I’ll state it; I am asking a question to learn, to explore, to see where your ideas come from and where they take us. People instantly become defensive at the slightest hint that their opinion is not accepted as true and final. This too is the way of fools. And I would append St. James prudent instruction at this point. “Know this, my beloved,” he tells us in James 1:19, “let every person be quick to hear, slow to speak, slow to anger.” Essential if I am to be discerning instead of reactionary. And something I need to pray for, and then pray for again.